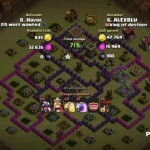 This is the 4th Town Hall 8 base layout from GeneralHavoc and its name is Arkaine’s Valor. Valor is the best piece of armor in Diablo and it is worn by Arkaine, the only one who can turn the tide of the Sin War! Note: This is the v2.2 of this base with plenty of new improvements. 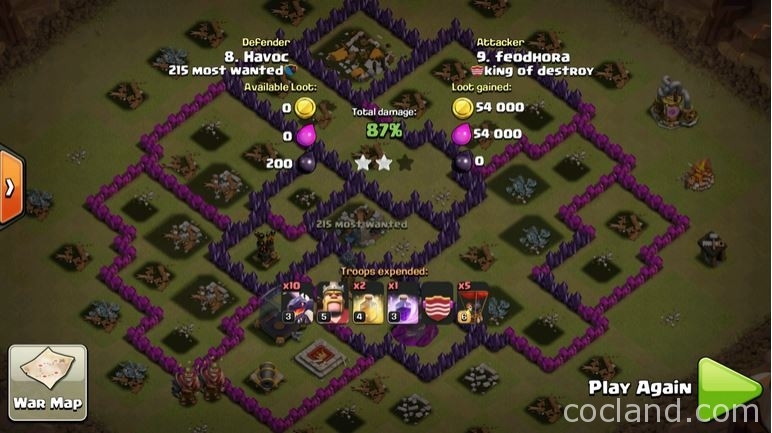 How does this TH8 war base work? This base has triangulated and centralized Air Defenses an far enough away so the attacker can’t destroy them all with a Rage Spell. Every Air Defense is protected by a high HP storage, the Air Sweeper points to the weakest air defense side. Air Bombs are placed at the South of the base to improve the air protection. Anti-3 Stars Requirements: Level 6 Air Defense and Maxed level Storages. This is a completetly unsymmetrical base which has plenty of compartments with different sizes and shapes. 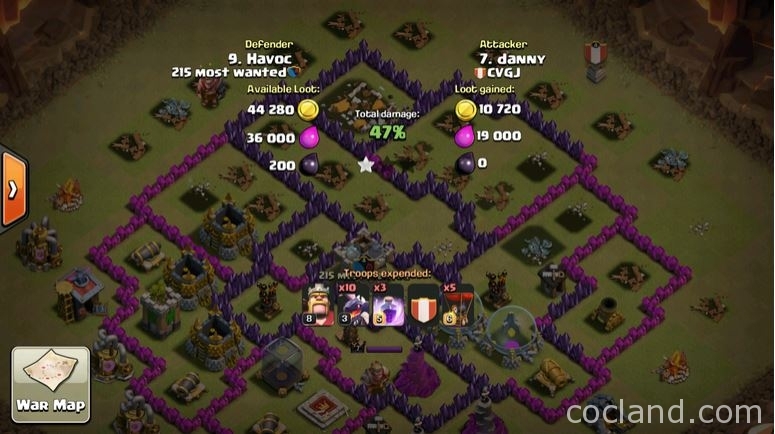 If the attackers don’t bring a higher Wall Breakers than normal, their troops will need a certain time to go further and be wiped out by your defensive buildings. All 3 Hidden Teslas are in 3 different compartments. In addition, the Skeleton Traps are concentrated around Hidden Teslas to distract the P.E.K.K.As while they are finding a way to go inside. 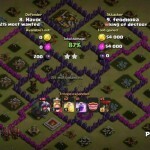 Anti-3 Stars Requirements: Level 10 Cannons, Level 9 Archer Towers, Level 5 Teslas, Level 7 Walls, Level 2 Skeleton Traps. 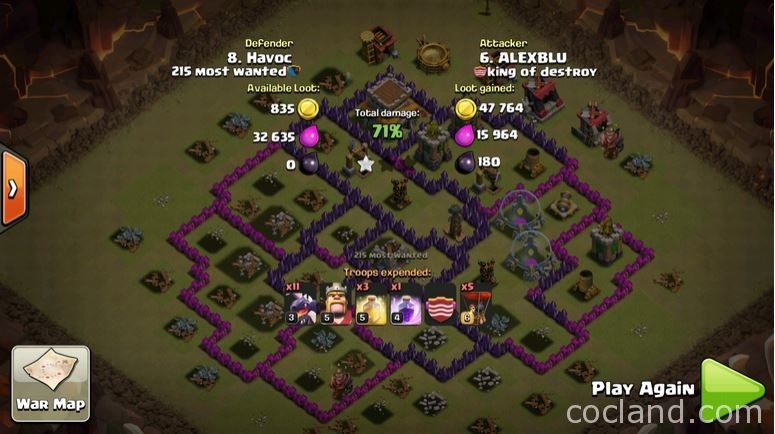 There are plenty of 2×4 open spaces in this base so that attackers can’t know which one is the Double Giant Bombs exactly. The real Double Giant Bombs is in the core of the base to prevent the attackers from finding it with ease. The heavy concentration with a few bombs and Air Bombs can stop early Healing Spell and additional Balloons immediately. All Spring traps are spread out and placed between outer defensive buildings which are in the funnel to stop Hog Riders from all ways. The Skeletons will come out and hit the Hogs while they are running around. 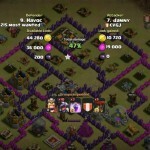 Anti-3 Stars Requirements: Level 2 Giant Bombs, Level 5 Wizard Towers, Level 4 Bombs, Level 2 Skeleton Traps. 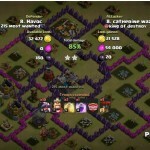 This base has centralized Clan Castle and unlurable! The defensive buildings outside the walls will remove all troops before they can lure your CC troops out. 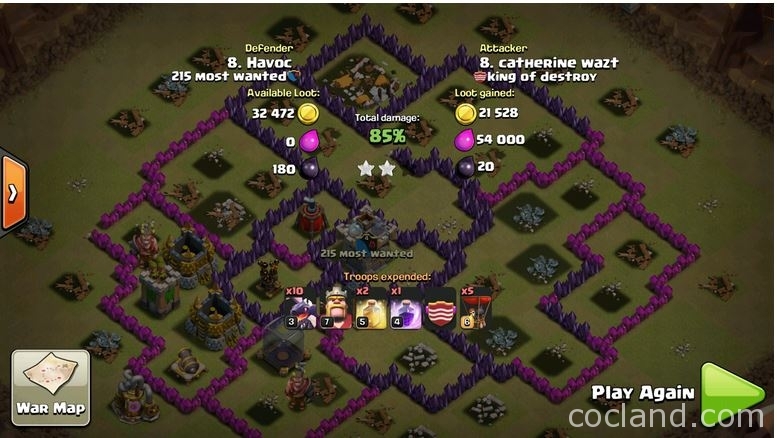 If the attackers want to lure your troops, they need to spend couples of Hog Riders and that will be your big advantage because Town Hall 8 player has only 200 housing spaces. This base is quite sweet, I think everyone should try it at least once and you will never regret!